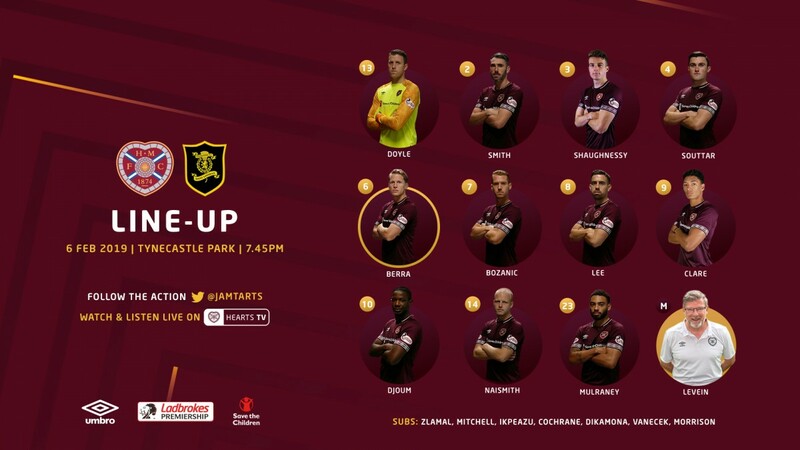 Craig Levein has made one change to the side that won at Kilmarnock last Friday as Hearts welcome Livingston to Tynecastle this evening. Olly Lee returns to the starting line up, replacing Callumn Morrison who moves to the bench. Also named amongst the substitutes is Uche Ikpeazu, who pulls on a maroon jersey for the first time October after spending four months out injured. Meanwhile David Vanecek has shrugged off an ankle injury to take his place on bench. Doyle, Smith, Shaughnessy, Souttar, Berra, Bozanic, Lee, Clare, Djoum, Naismith, Mulraney.